Take a look at the leeks in your veg patch. Do any of them have brownish orange streaks or spots on the leaves? If so, they may have rust. 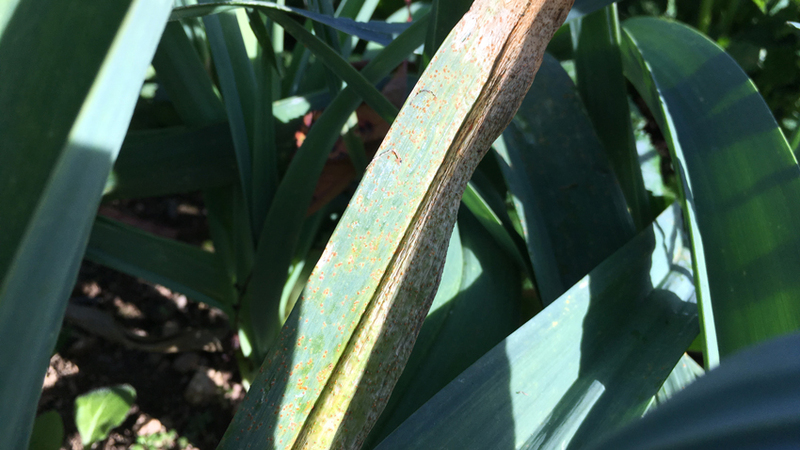 Leek Rust is a fungus that develops on the leaves of any alliums – leeks, onions, garlic – and it’s not uncommon, especially at this time of year. Once you see signs of leek rust on your leeks, don’t despair. You can still harvest your leeks and cook them – just peel off the affected leaves before you wash and chop them. 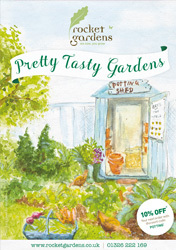 If they’re not really ready to harvest yet, you can remove diseased leaves (being sure not to leave them lying on the soil) and give the plants a good watering. Try not to get water on the foliage, just water them at the base. With luck they will continue to grow without too much further infection. One important thing to note is that if you leave any infected foliage lying on the soil, then other leeks are highly likely to catch it. You can compost them, but do so well away from your bed of leeks. Alternatively, pop them on the bonfire next week! Avoid growing leeks in nitrogen-rich soil. Nitrogen can soften the leaves and make the plants more susceptible. If you use manure in the garden, you may find that your soil is quite high in nitrogen. Instead, try using a multi-purpose compost where you are planning on growing leeks. Give plants a little more space. Planting too closely together restricts air movement in and around the plants, and by increasing this you will minimise the risk of leek rust taking hold of your plants.